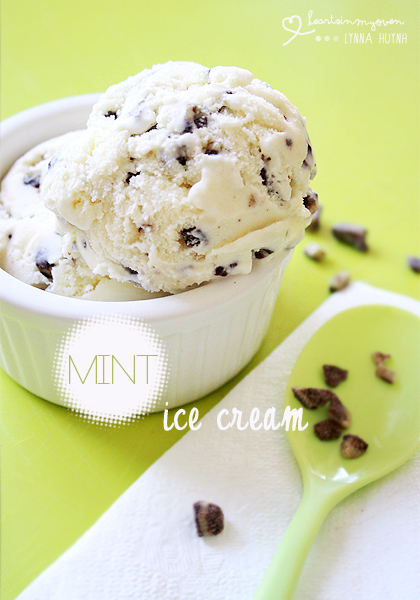 I`ve told you guys before that I love mint chip ice cream...so I definitely want to try more than just one recipe. Hehe. 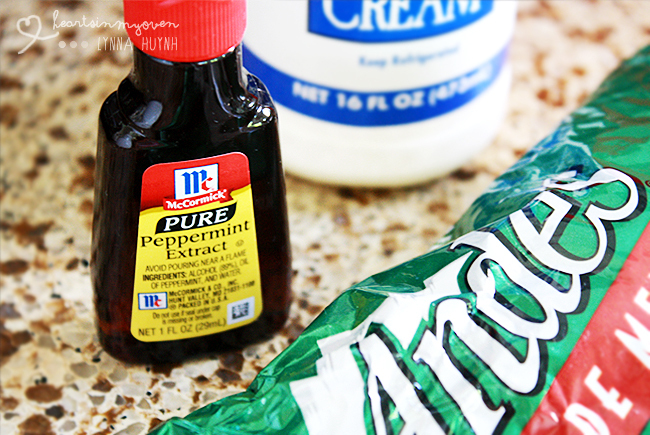 This is another recipe where I used peppermint extract instead of real mint leaves. This recipe definitely has more of a refreshing mint taste instead of the real herbal mint leaves from infusing it into the milk mixture. This ice cream recipe is more like the store-brought ice cream everyone is used to. I love this version too! I say, try both! Also, if you`re one of those people who prefer not to eat raw eggs, you might want to stay clear of this recipe. As it does not cook the eggs beforehand. 1. See A Sweet Pea Chef's Mint Chocolate Chip Ice Cream for directions. This looks so creamy and delicious!! I love homemade ice cream! 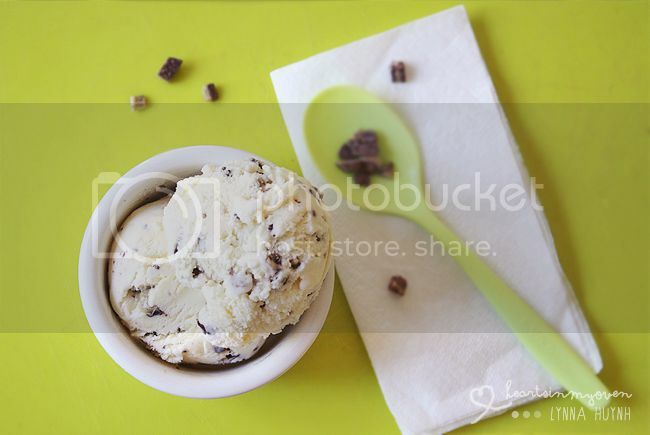 Mint Chip is my mom and my kids' favorite ice cream flavor! I never knew there is peppermint extract! I am keeping this recipe and will try - hopefully this summer! There are so many different types of extracts! I was blown away when I first saw the self! ANDES makes baking chips?!! My day just got so much more promising! LOL I know right?! I felt the same when I first saw them at Target! Andes are my FAVORITE candy! I get a Costco size box of them every year for Christmas from a family member -- and I am always grateful. The ice cream looks GREAT! Really? That`s awesome! They`re one of my favorites! Oh boy, I would LOVE to get a huge size box of Andes!